Apologies aside, Linton’s PR troubles are not behind her so much as they are entirely ongoing, as Elle wasn’t afraid to publish this brutal profile. Oh my god, there is so much here! Why is this woman allowed to give interviews? 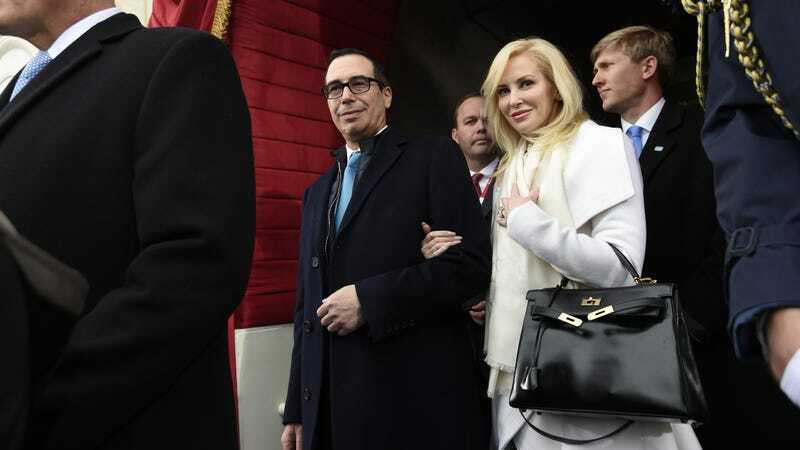 And so she did—elbow-length black leather gloves, to be exact—in November, when she was photographed beside her husband holding up a fresh printing of dollar bills at the Bureau of Engraving and Printing with a wicked glint in her eyes. There are many other things Linton insists make her a regular person. She loves SoulCycle, for one. “That’s temple for me,” she says, dressed in a SoulCycle beanie and leggings. “This is my uniform. I wear SoulCycle stuff every single day of my life.” She’s fond of the expression super-duper. She is “super-duper” sorry for all of the missteps in her self-presentation. She finds the idea of doing a reality TV show, which many people have floated to her in recent months, to be “super-duper” scary. You know, actually, the bird feeder bit does surprise me. For more insights into the fascinating brain of an American style icon, read the full article here.